We're proud to offer the great Invisi-Fast hidden deck fasteners as recently featured in Fine Homebuilding magazine. We have designs for all types of deck materials. We stock all the types of invisible deck fasteners including the new Invisi-fast PLUS, ANY ANGLE, ZERO-spacebar and BISCUIT designs. Featuring the industries best lifetime warranty, the Invisi-Fast hidden deck fasteners are engineered to prevent wood damage, rust and corrosion while enhancing the beauty of any wood deck, sauna or paneling system. Advantages of Invisi-Fast invisible fasteners include: lowest cost, no nail popping, automatic spacing of deck boards, any-angle decking option, easiest installation and simplified maintenance of the deck surface. Invisifast hidden deck fasteners are designed to be used on all types of decks including outdoor decks, saunas, ACQ treated lumber construction, etc. The invisible Invisi-Fast hidden deck fasteners are also guaranteed by the manufacturer to last longer than your deck! And you'll find our quick shipping & discount prices are unbeatable. EASY and quick to install -- no special tools are needed. Deck safety is improved -- no fastener pop-ups. 100% corrosion free for longer lasting decks. No places for bug to nest vs. competing hidden fasteners. The deck surface is easier to resurface and the result looks better. Engineered to space deck boards automatically to exact requirement. All deck boards are set to a level and uniform height. 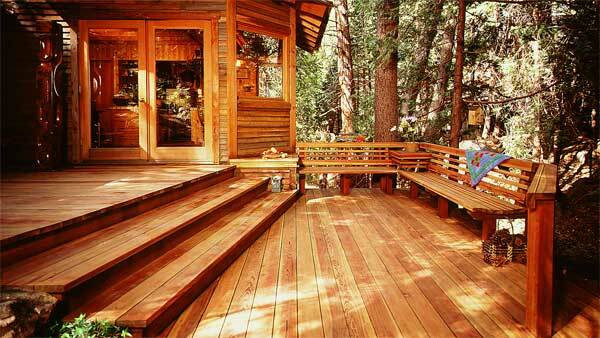 Relieves the stress caused by natural shrinkage of the deck boards. Formed from UV resistant polycarbonate -- it WILL outlast your deck. Overnight and expedited shipment available. MOST COST EFFECTIVE SOLUTION !! Average decks require approximately 1.75 fastener pieces per square foot of deck if joists are 16" on center, and approximately 2.25 pieces if joists are 12" on center. * Plus 100 piece covers about 50 sq.ft. SUMMARY: While applying pressure from the top of the deck board, push the Invisi-Fast deck fastener up and towards the deck board so the spacer and base of the fastener are firm against the deck board. Then, using an approved deck screw, fasten the fastener to the joist using the lower left hole making sure you do not over tighten. HINT:To prevent squeaks the manufacturer recommends applying a 3/8” bead of construction adhesive along top of joist before installing Invisi-Fast hidden deck fastener. This helps fill in voids and imperfections on the mating surfaces. Not applying adhesive will not compromise stability, but the adhesive provides additional holding power and stability. Depending on which exterior construction adhesive is required for your climate area, the adhesive also provides additional holding power. Check with your deck board manufacturer to verify warranty coverage. Slide the convenient overhang tabs under the first deck board. Applying pressure from above the deck board, fasten screw using the lower/ center hole, making sure you screw into the middle of the hole. Manufacturer recommends one screw to be fastened into the joist. The other 2 holes are to be used as backups (if wood imperfection is present). *Apply Construction Adhesive under each board to prevent squeaks and creaks later on. Apply adhesive and slide your second board into place. Secure deck board by using the remaining upper hole. Continue this process for the length of the board. Tip: When 2 boards meet each other on a joist, its best to install an Invisi-Fast on each side of the joist. Repeat this process until the last deck board.Prior to securing the final board, cut your board to size if necessary. Using the Invisi-Fast without a spacer, secure the Invisi-Fast to the inside perimeter board (rimboard) using the lower hole. Then once all perimeter fasteners are secure, fasten your final deck board using the upper deck board holes. Step 1: When using the ANY ANGLE fastener, you may have to screw the first corner board down from the top, if there is insufficient room to attach fastener from below. Tip: Manufacturer recommends one bottom crew to be fastened into the joist. The other 2 holes are to be used as backups if wood imperfection is present. Tip: You may want to temporarily secure the deck board with a finishing nail to ensure no shifting. Step 3: Secure the deck board by using the corresponding upper hole. Slide your second board into place. Secure deck board by using the remaining upper hole. Continue this process for the length of the joist. Tip: When 2 boards meet each other on a joist, install an Invisi-Fast™ Angle on each side of the joist. Tip: Prior to securing the final board, cut your board to size if necessary. Using the Invisi-Fast™ without a spacer, secure the Invisi-Fast™ to the inside perimeter board (rimboard) using the lower hole. Then once all perimeter fasteners are secure, fasten your final deck board using the upper deck board holes..
• Compatible with all types of decking including Composite, Treated (Including the new ACQ treated lumber), Cedar, and Vinyl. • Guaranteed to last LONGER than your deck. • Made of DURABLE CLEAR, UV Resistant, Lexan material that can be painted. • Available with automatic board spacer (1/4", 3/16", and 1/8") and without. • Boards are evenly spaced with board spacer. Requires approximately 1.75 pieces per square foot of decking if joists are 16" on center. Requires approximately 2.25 pieces per square foot of decking if joists are 12" on center. NOTE: Best Materials LLC is not responsible for determining the structural integrity or live load capacity of any deck on which Invisi-Fast Hidden Deck Fasteners are be installed. Please consult an engineer or the deck material manufacturer. The best practice for natural woods, such as redwood and cedar, is to space boards at 1/8" but use the ZERO-spacebar Invisi-Fast fastener. Because the natural woods have much more expansion and contraction, NOT using a mechanical spacer provides more allowance for expansion and contraction without undue stress. The Zero-spacebar Invisi-fast fasteners are designed to provide the optimal performance and beauty for natural woods decks. When installing the NO-Spacebar Invisi-fast fasteners on natural wood decks, use some 1/8" spacebar fasteners or a suitable size nail, to create a temporary space while installing the Invisi-fast fasteners, then remove the temporary spacer. For TREATED lumber decks, such as ACQ treated lumber, the best practice is to not use ANY space (or very small) and to locate the boards together when installing. This is because the treated lumber materials shrink over the first couple years, naturally creating a space. The following manufactures warranty is made in lieu of all other warranties expressed or implied. Any goods proven to be defective due to materials will be replaced, or purchase price refunded. Under no circumstances shall the manufacturer be responsible for damages in excess of the purchase price. User shall determine the suitability of the product for its intended use and assumes all risks of its use or handling. No returns 30 days after date of sale, no exceptions. Returned orders must obtain a Return Merchandise Authorization (RMA) number prior to being returned. All returned orders are subject to a 25% restocking fee, including shipping charges. There are no warranties on screws or tools sold or recommended. Shipping charges on the Invisi-Fast web site are for any shipping address in the continental U.S. states only. Alaska, Hawaii and International orders are subject to other shipping charges. All shipping charges are nonrefundable. Neither Best Materials or manufacturer, MM Products, is responsible for damages caused by excessive shrinking or expanding of treated lumber due to moisture.